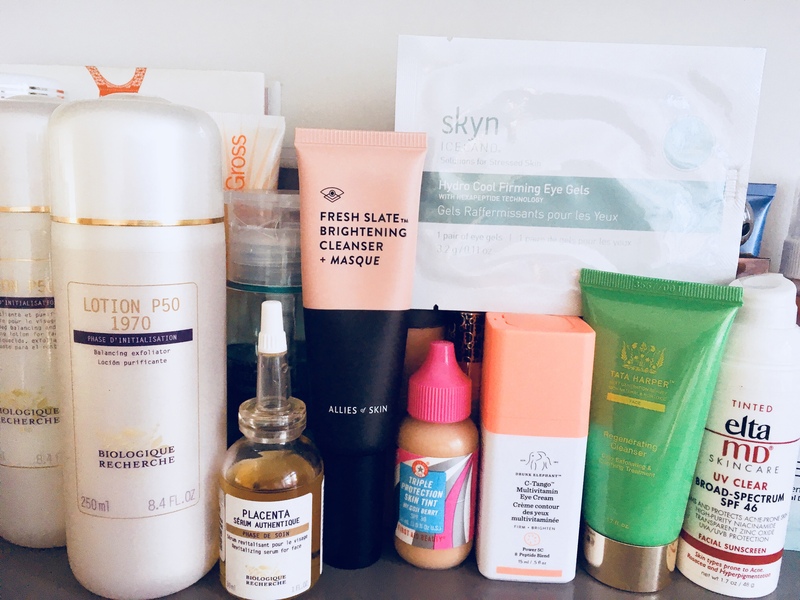 “I’ve always cared a lot about skincare and beauty products in general; I blame my mom. I have vivid memories of sitting on the toilet in her bathroom playing with tubes of Chanel lipstick while she washed her face with Erno Lazlo bar soap using their splashing method. She was also the one who got me to start using Biologique Recherche P50, my ultimate holy grail, desert island product. I’m still as committed to this potion as I was in my original review years ago. 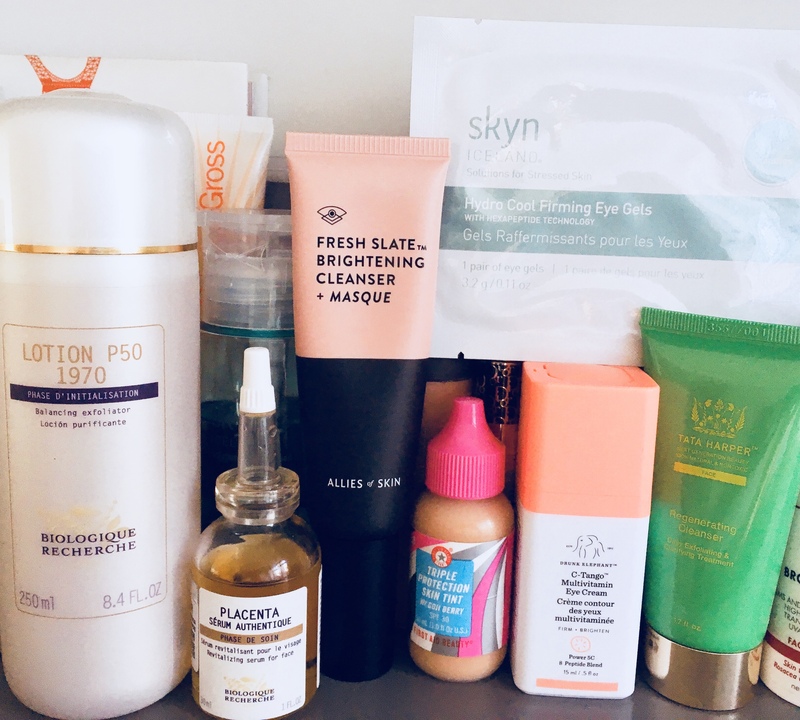 I remember in college thinking that washing my face was a chore after going out, and often reverting to wipes (don’t rely on those – just don’t). These days, it’s become a soothing way to end my day. It’s a moment that is for me, and only me. I work at a hedge fund and often come home harried and stressed, so doing my nighttime routine relaxes me. I’ve had some moments this past year when life felt very out of my control, but taking care of my skin in a meticulous and methodical way was totally in my hands (pun intended). My beauty philosophy has changed quite a bit in the last year. I used to always want to try the latest and greatest product, and was a total sucker for marketing. Since meeting my facialist Diana Yerkes at Rescue Spa (she is a unicorn with the most gorgeous porcelain skin ever – see her ASAP and thank me later), I’ve become a creature of habit and devoted to a set routine with minimal variables. Biologique Recherche Lotion P50 – It’s a miracle-worker, and has worked wonders on active breakouts as well as residual scarring. I recently realized I shouldn’t be swiping it on my face, but instead pressing it into my skin in an upwards motion to avoid pulling and tugging. Drunk Elephant C-Tango – I like an active eye cream, meaning I want something that is actually brightening and firming, as opposed to just moisturizing. However, I find the vast majority of the eye creams I want to like to be irritating. My sensitive eye area has had no issues with this product. Biologique Recherche Serum Placenta – This serum has been instrumental in controlling breakouts. I like that it doesn’t harshly attack zits. Rather, it calmly – but sternly – tells them to calm the F down. Allies of Skin Fresh Slate Brightening Cleanser – A new addition to my routine, I started rotating this cleanser in a few weeks ago when the temperature rose in NYC. I felt like I needed some extra oomph to remove sweat and makeup, and I love that this does just that, but without drying me out. Sometimes I leave it on for five or ten minutes as a quick brightening mask. First Aid Beauty Triple Protection Skin Tint – I love this skin tint for a no-makeup makeup look. It evens out discoloration while protecting from environmental elements, and it’s full of antioxidants that are actually good for your skin.